Alex is a marine biologist, aquarist, lover of animals, and an experienced veterinary assistant. As anyone who has ever been the proud owner of a fish tank can tell you maintaining a fish tank is a rewarding past time. Fish do not require as much attention as a dog, cat, or bird and fish tanks are a great addition to any home. Small tanks are a fantastic way to teach a child about responsibilities as well as important lessons in chemistry and biology. So now that you have the desire and passion to set up a tank where should you start? There are three kinds of tank systems: freshwater, saltwater, and brackish water. The easiest of the three to set up and maintain are freshwater systems. These particular systems do not require as many chemical additions and are cheaper to set up and maintain. For a beginner a freshwater system is the way to go. 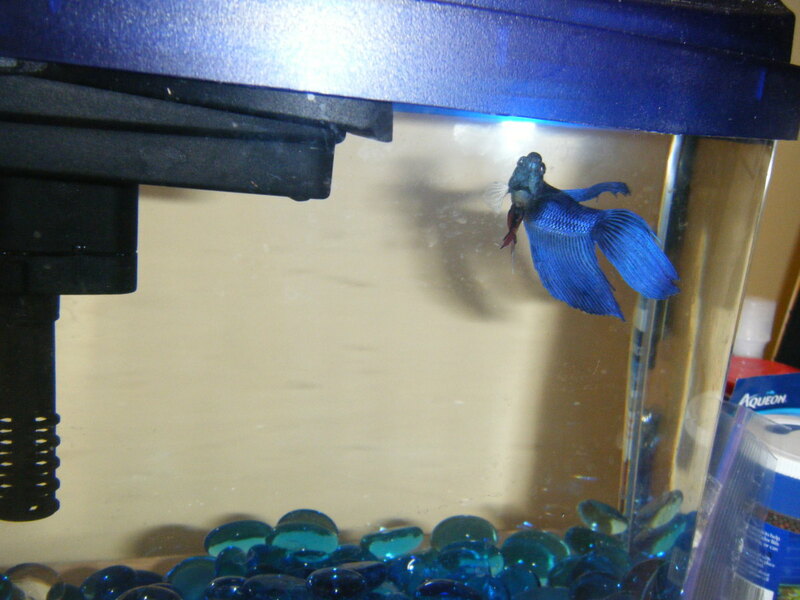 Once you have decided on a water type you should come up with a plan for your tank. Where is it going to go? What kind of fish do you want? How big of a tank do you want? Do you want live plants or invertebrates? These are all things that you should explore before purchasing a tank. First things first; pick a room. 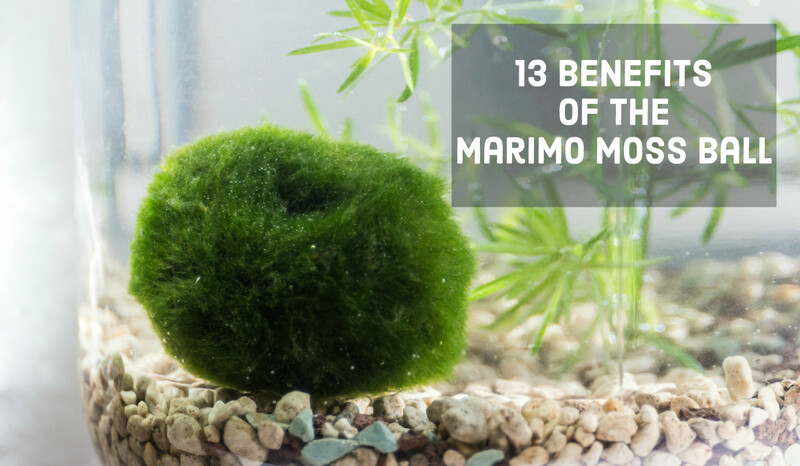 Keep in mind, you don't want the tank to be near windows that get a lot of sun as this will lead to an increase in algae growth. You also don't want the tank to be positioned where people have the chance to knock into it. The best place is in a room, say the living room, along a wall where it can be admired, easily maintained, but not in any danger of being ran into. The tank should also be near electrical outlets since you will need to plug in the pump, heater, air pump, and any lights you may have on the system. Now how big of a tank should you get? Easy. As big of a tank as your space and budget allow. The bigger the tank the more fish, or simply just larger fish, you can have. Just remember don't go for broke on the tank. Nearly every aspect of owning an aquarium can be expensive and you don't want to buy cheap chemicals and decorations to go with your top dollar 150 gallon tank. Once you have a tank picked out its time to select a stand. Of course many pet stores sell tank and stand combs for a discounted price, some even include pumps and other necessary accessories. A good stand will have places for you to store your chemicals, fish foods, cleaning supplies (gravel wash tube and hose), as well as extra filtration and decorations. Ideally the stand will also have an aesthetic appeal and compliment the beauty of the tank. A lot of people try to be crafty and make their own stands by buying wood that the hardware store. Be very careful if you choose to go that route. Remember a gallon of water weighs roughly nine pounds, then add in rocks and gravel and you are looking at a very heavy aquarium. A 30 gallon freshwater tank can weigh over 320 pounds. That is a lot of weight for the stand to have to support. National Geographic has a new line of pet care products. They are a little pricy, but they do donate to conservation funds with every purchase. I also really like the quality as well. While test strips are cheaper and do provide a good ballpark of water quality it is worth it to invest in a nice testing kit. Nearly all pet stores that carry fish supplies will have refills of chemicals and you get a much more accurate reading of the quality of your water. Some fish are not too picky about their water quality, like betas and most tears, and for them the strips will be sufficient. 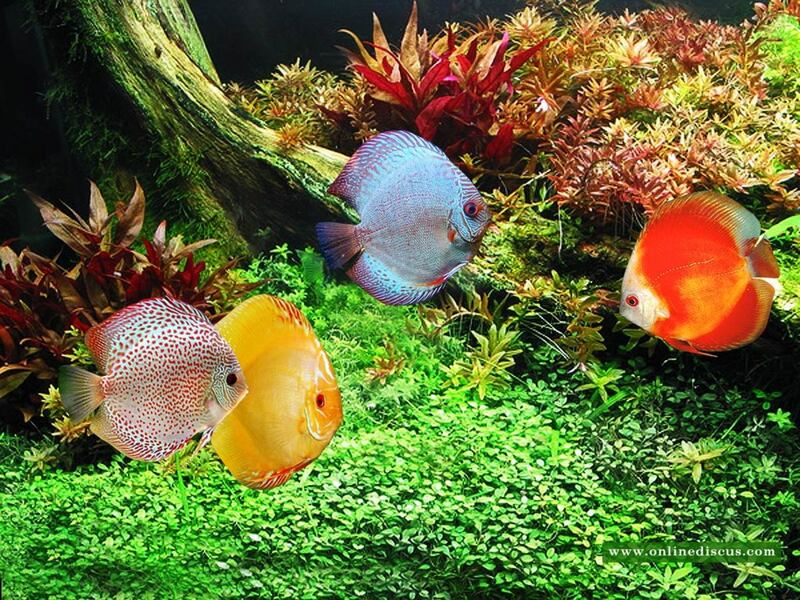 But, if you are going to invest a lot of time and money into your fish collection, or are looking to add fish like discus, it is worth it in the long run to get a test kit. Test kits are easy enough to use. They come with a series of test tubes and chemicals. You put a little tank water in each tube and then a few drops of each chemical into a different tube. Then you compare the color of each test tube to the scale that comes with your kit. If you are allowing your child to maintain the tank test kits also come with an added bonus: they get real lab experience. And what kid wouldn't have fun pretending to be a mad scientist, even if they are only testing their water quality. This shows that my tank is cycled and ready for fish. Now that you have a tank and stand and they are in the location of your choice you should add your substrate. The type of substrate will dictate what kinds of fish you can have. For example you wouldn't want to put a fire eel in a tank that has a rocky gravel substrate because the gravel would scuff up the eel's nose. There are a good number of freshwater fish that should only be placed in tanks with sandy bottoms: knife fish, eels, freshwater rays, ect. However gravel tanks do have some advantages, one of the best is that they are easier to maintain since the substrate will not be sucked up through the gravel wash tube as easily. 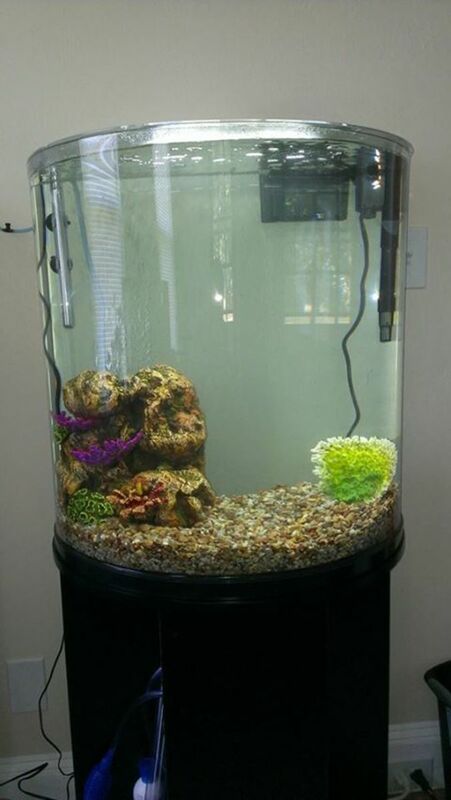 Gravel is also often cheaper than sand and can add more color to the tank if desired. 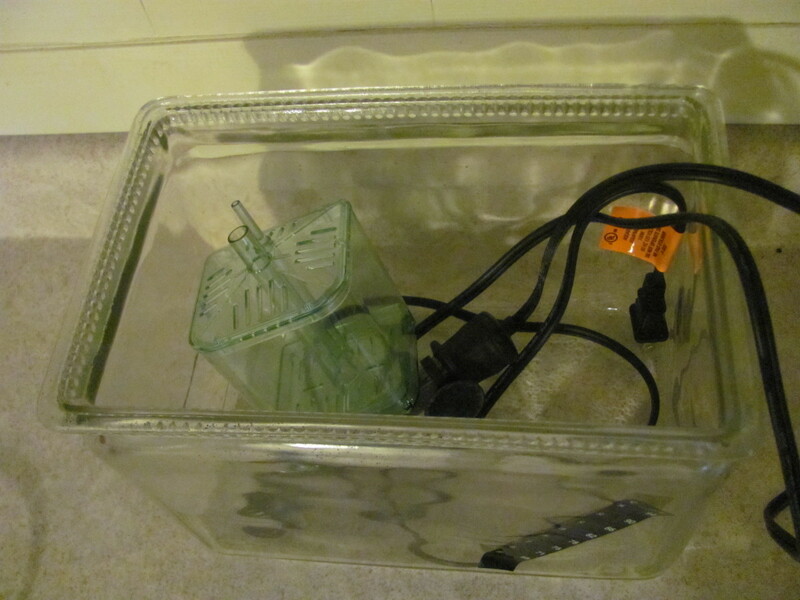 Before the substrate is added to the tank it should be thoroughly rinsed with water. This will remove any dust, dirt, and debris from the substrate. After it has been rinsed you can carefully pour into the tank and smooth out the top layer. At this point you can also add any decorations you desire. Keep in mind that fish do sometimes need places to hide in order to feel safe, especially after they have been put in a new environment. I'm not saying you need a replica of Spongebob's pineapple, but a few nice rocks or plants should do the trick. Now its time to add water. Add the amount of water your tank holds. Once the water has been added you need to condition it so that it will be safe for your fish. There are several different brands and kinds of treatment. Some even have elements to help cycle your tank so you don't have to buy different chemicals. This is also the point at which you should install your filtration. How you go about this stage depends on the kind of pump you have. Most models have a bio-wheel and a place for a carbon filter, usually incased in floss. 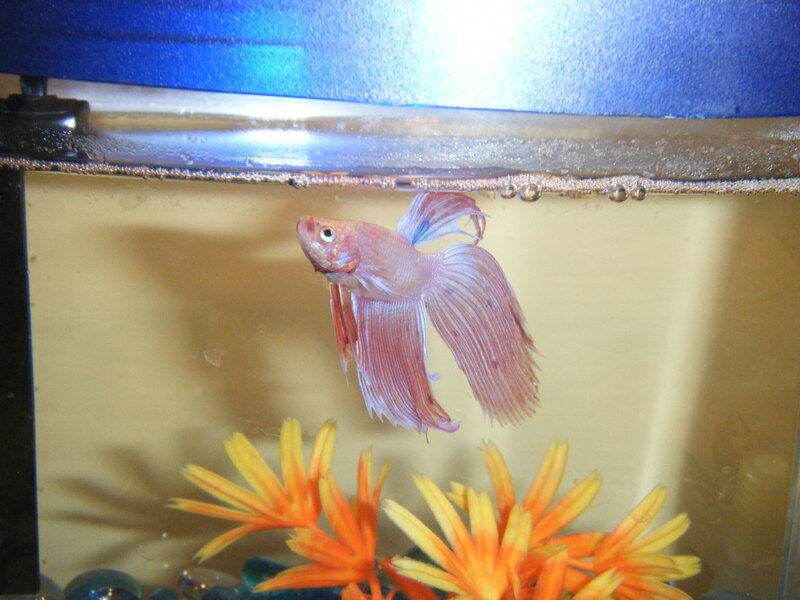 It is important to note that all filter media should be rinsed before it is placed in the tank. You should also place your heater and air pump at this time. The heater is simple. It is going to heat the water to a specific temperature and shut off when not needed. Many heaters have several different temperatures for you to choose from. You can even buy heaters that have been preprogramed to only go up to a specific degree point. From your air pump you will have a line, called airline tubing, and then an air stone. This air stone is very important. It is going to aerate the water in the tank, stabilize the pH, and help to maintain a uniform water temperature throughout the tank. 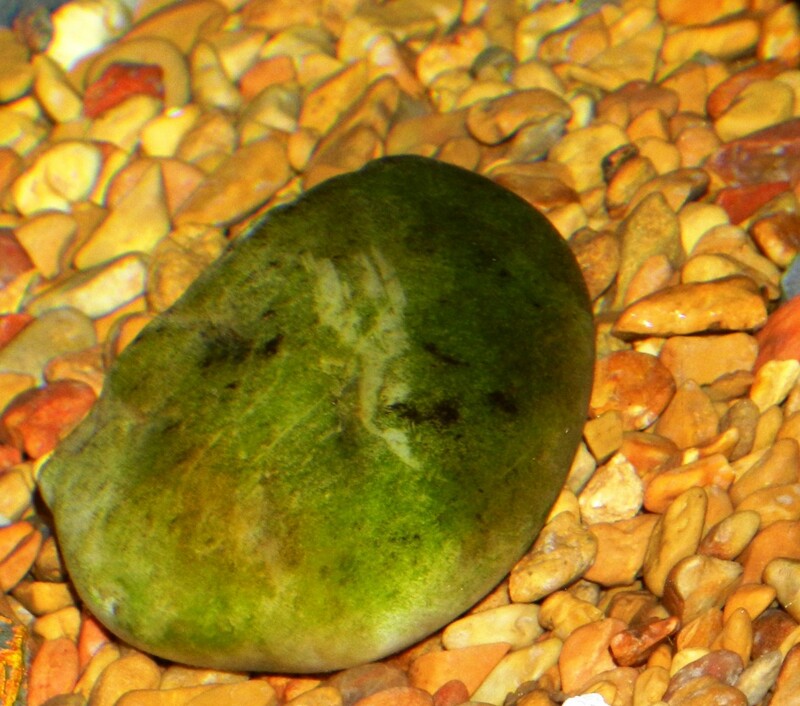 To avoid air going into your filtration pump place the air stone on the opposite side of the tank. Once you have all of this in place it is time to test the water. 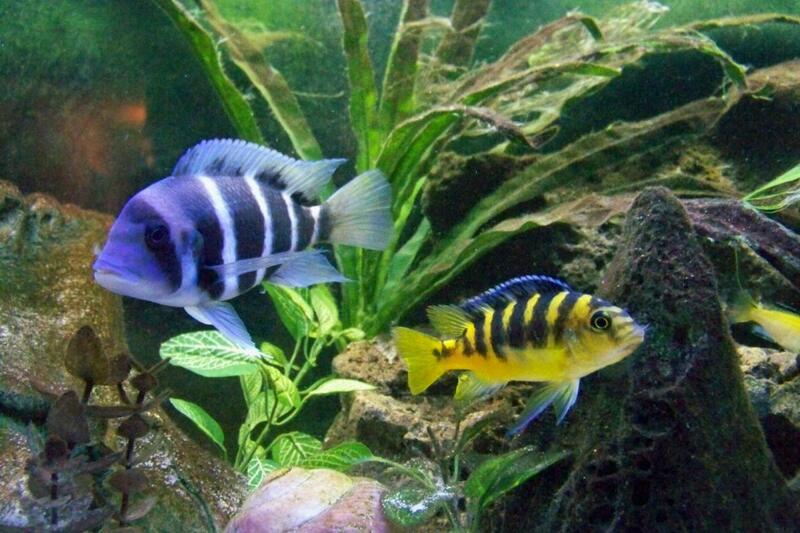 Depending on what kind of fish you want in your tank you might have to make adjustments in your water chemistry. 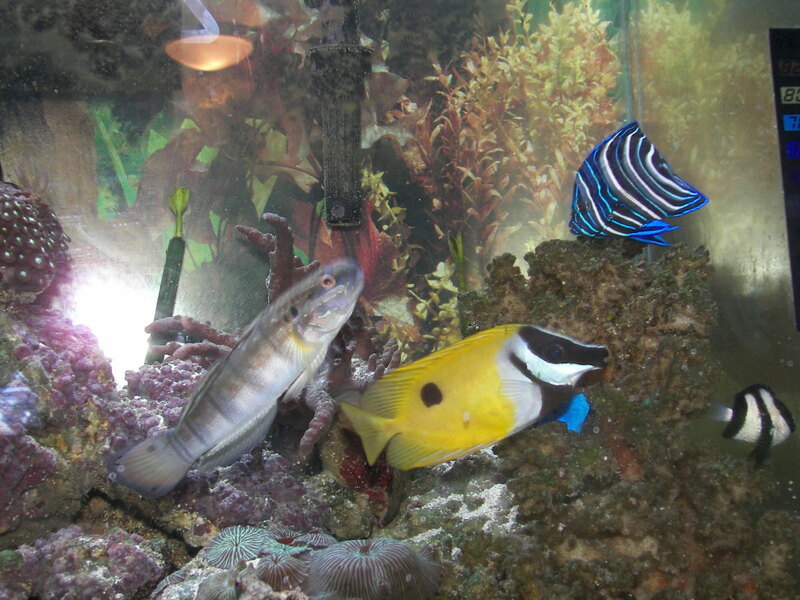 Some fish prefer a warmer tank with a slightly higher pH, while others like colder waters. If you need to adjust the quality of your water at all you can buy specific chemicals to do what you need. All the tests you need to run on your water can be done by purchasing a water quality kit, or testing strips, from your local pet store. This is probably the most important part of set up. Without going into too much detail you are essentially allowing good bacteria to grow on your biological filter. 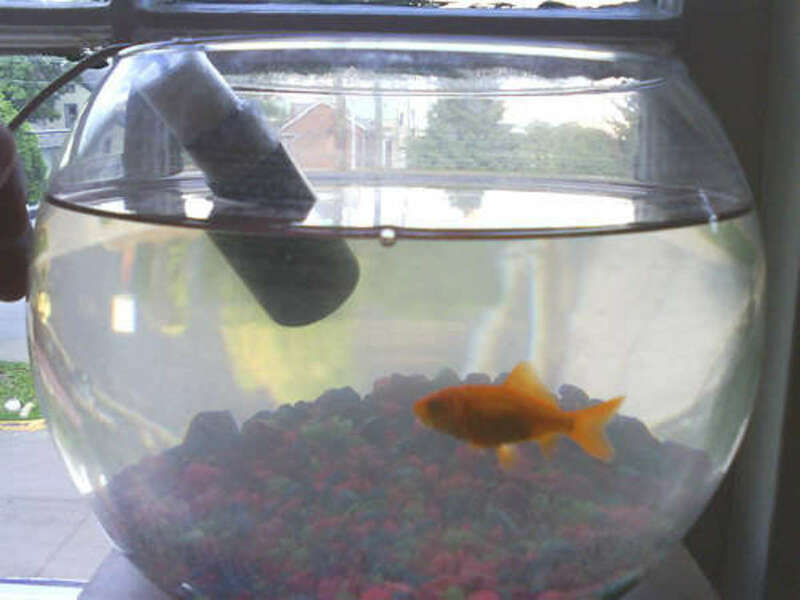 What this will do is when you have fish in your tank the good bacteria will be able to use the nitrogen in the ammonia. This will prevent your water from becoming toxic to your fish. The easiest way to cycle a tank is to let it run for a week or so on its own. You can feed it with chemicals, ammonium chloride, during this time if you so desire. However this step can be bypassed if you have a water conditioner that contains ammonium in it. You can also, towards the end of the cycle add a couple of hardy fish, like tetras, to help speed along the cycling process. These fish have a higher tolerance to changes in ammonia levels and help to provide the good bacteria with nitrogen products to feed on so that they can multiply. 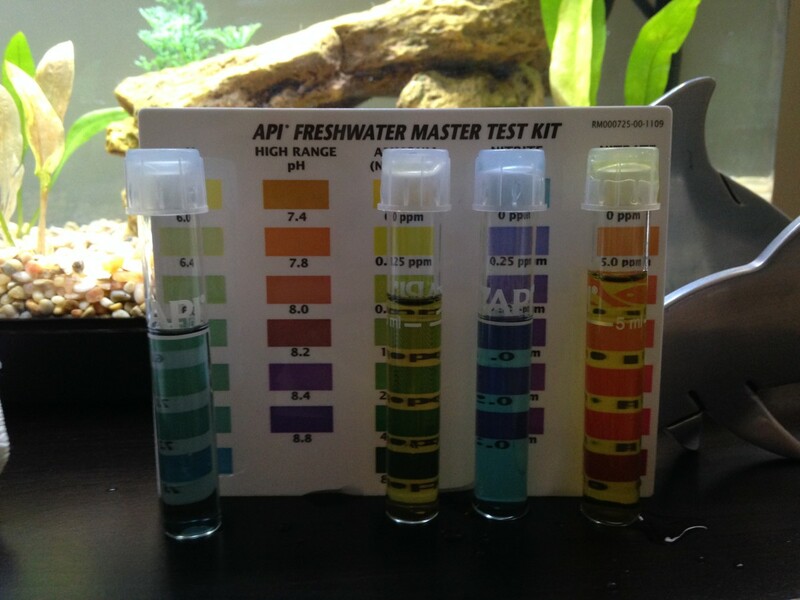 One easy way to tell if your tank is cycled and ready for fish is if you have an algae bloom. You will know if you have one. Your water will go from crystal clear to cloudy, it may is be almost milky. Do not panic! This is a good thing. 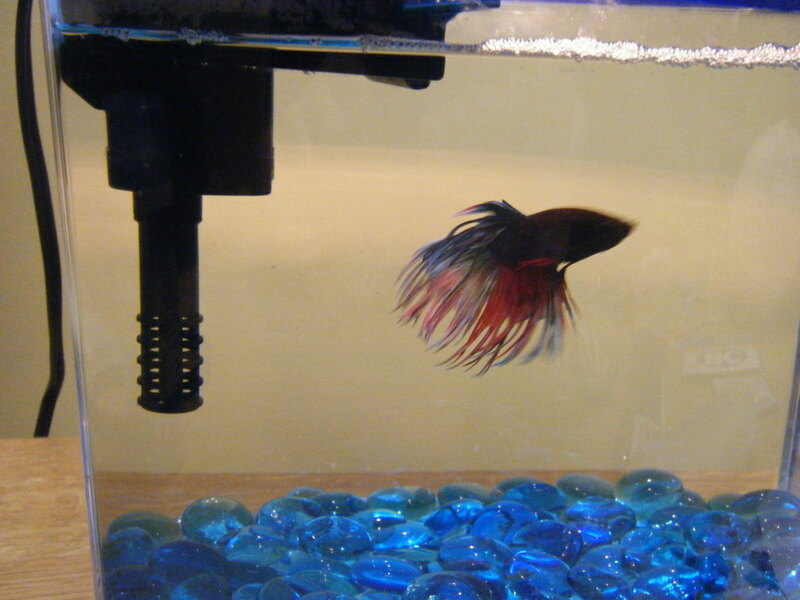 Simply do a 10-15% water change every other day and this will help lower the amount of bacteria in the water. Once the bloom is over you should have beautiful crystal clear water again and you are now ready for the fun part. 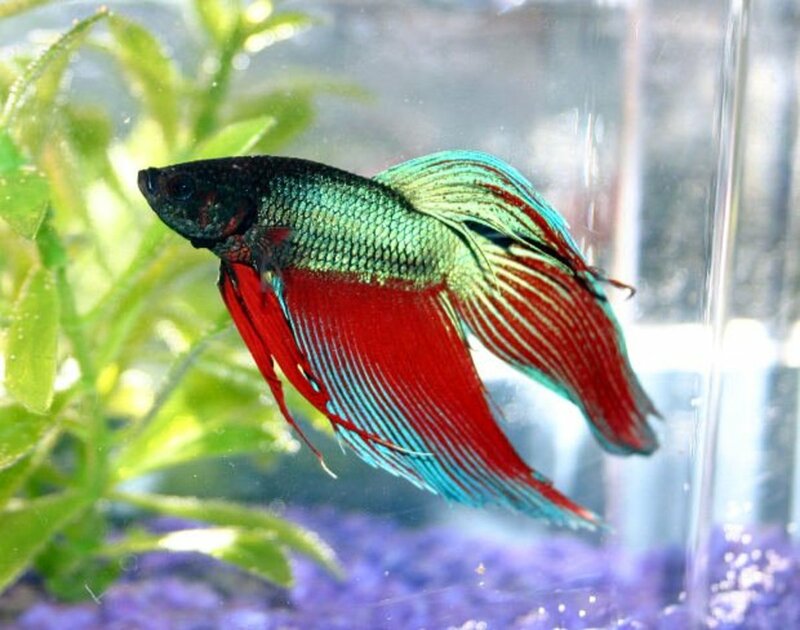 Betas, however beautiful, are not the only kind of freshwater aquarium fish. 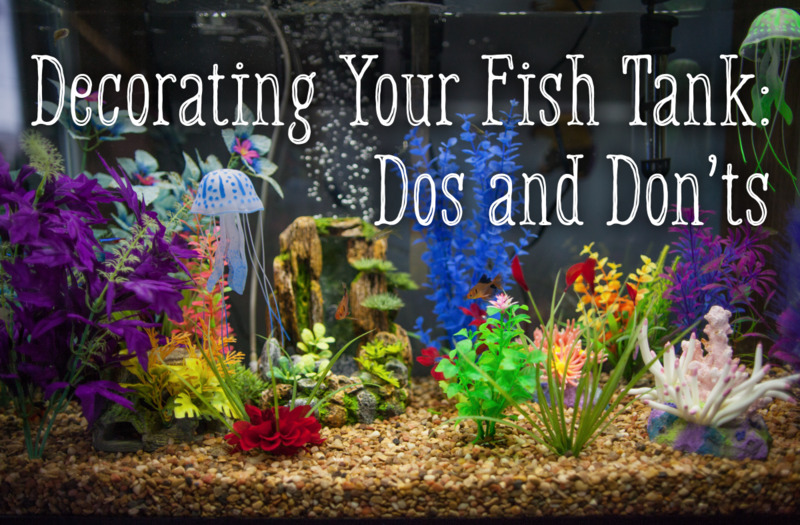 Now that you have your tank set up and cycled it is time to get your fish! You should be careful not to add too many fish at one time however tempting it may be. If you add too many fish at once you will shock your system and could cause an ammonia spike. This could kill of of those fish that you spent so much time preparing for. A lot of people don't like the idea of freshwater tanks because they think all they will be able to get are betas and goldfish. 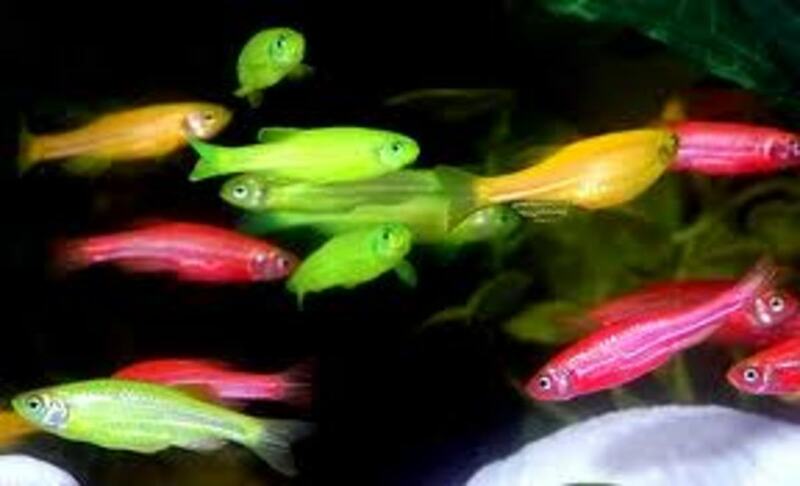 Or people assume that because a fish lives in freshwater it will not be as colorful as a saltwater fish. This is simply not true, although you can keep a beta with a good many number of tank mates. There are dozens of species of freshwater fish that come in dazzling colors. 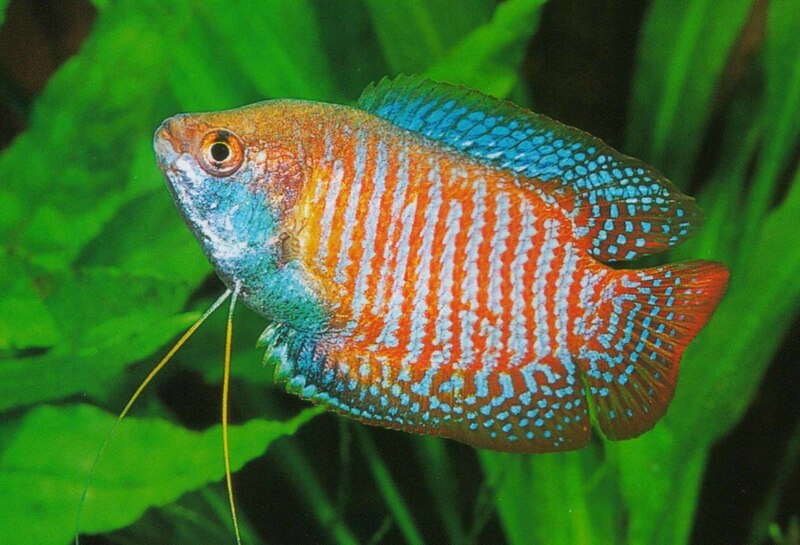 Gouramis, discus, and cichlids all come in different colors and are just as pretty as saltwater fish. Though be advised, discus require near perfect water quality at all times and could die if there are even slight variations. 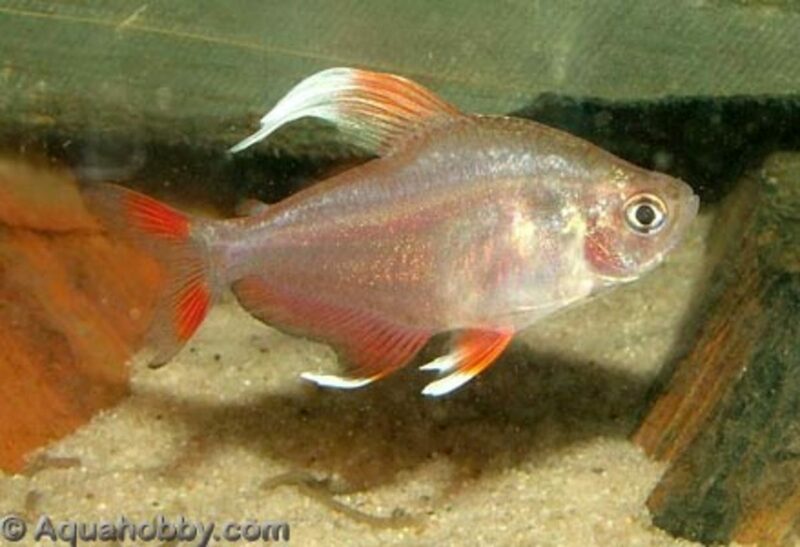 Tetras, barbs, and danios are also nice schooling fish that add a sense of completion to any aquarium. There are a few things that you must keep in mind when selecting your fish. Do they all have the same water quality needs? Will the all get along? 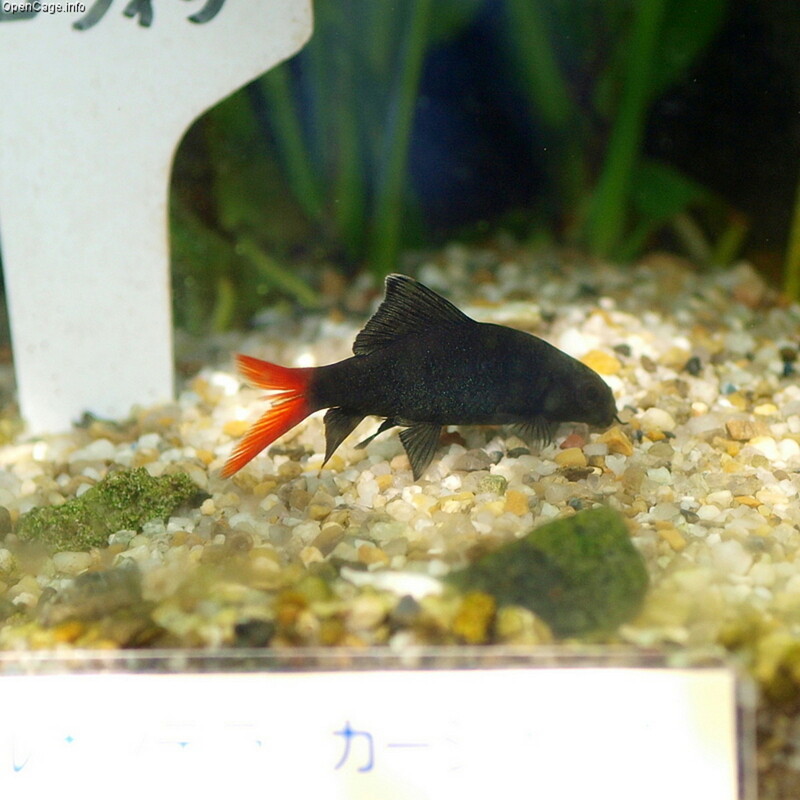 (You don't want several different kinds of aggressive fish in your tank) How big will they get? How many can you have in your tank? All of these questions can be answered by researching specific species online or going to your local pet store and talking with the fish staff there. A word of warning, you will find biased people on the internet and in stores it is best to do your own research and compare your findings. 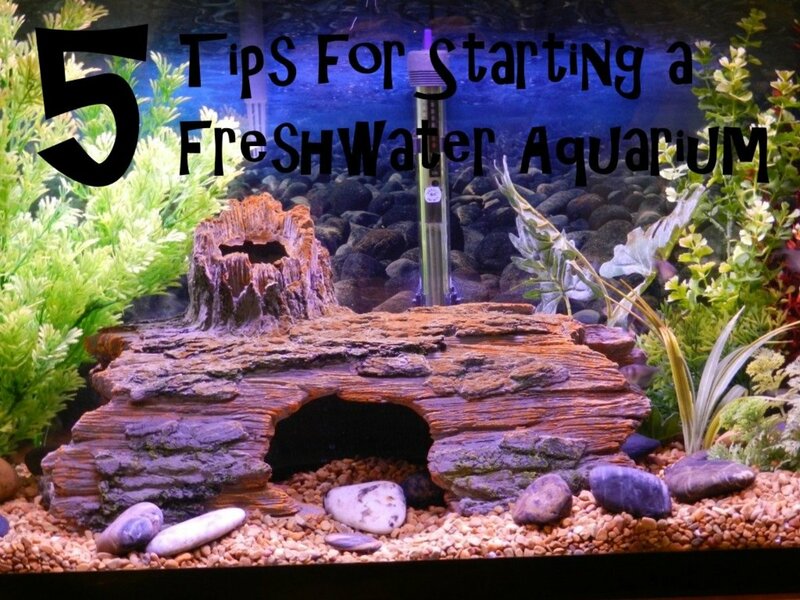 Now that you have your aquarium set up there are a few things that you much keep in mind. With all of this in mind there is no reason why your fish tank cannot be healthy with happy inhabitants. This video shows some of the aspects of setting up an aquarium and is meant to be a visual aide . This guide is really useful for me, as I was researching a lot about aquarium, as I am new to aquatic life. 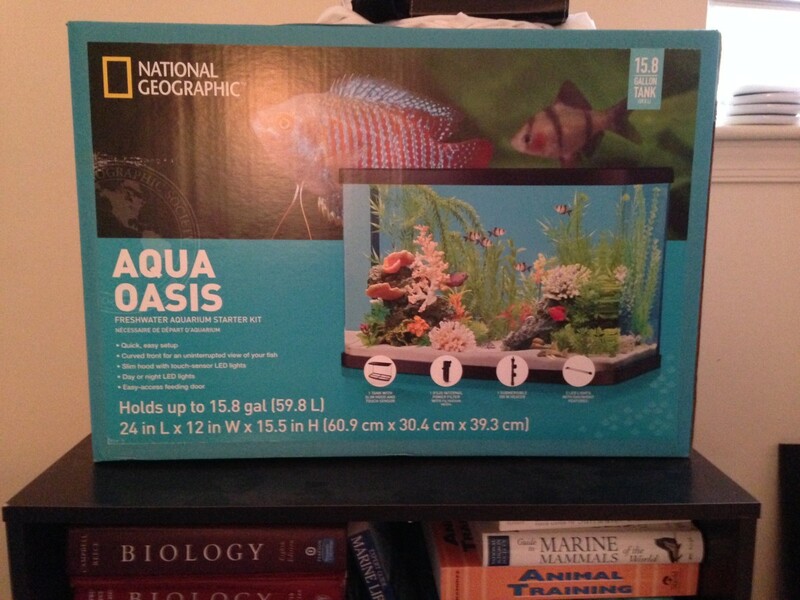 I have recently bought a fish tank from http://www.aquaristiconline.com.au/.